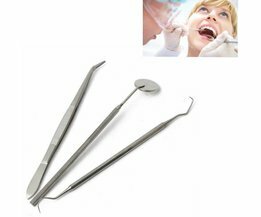 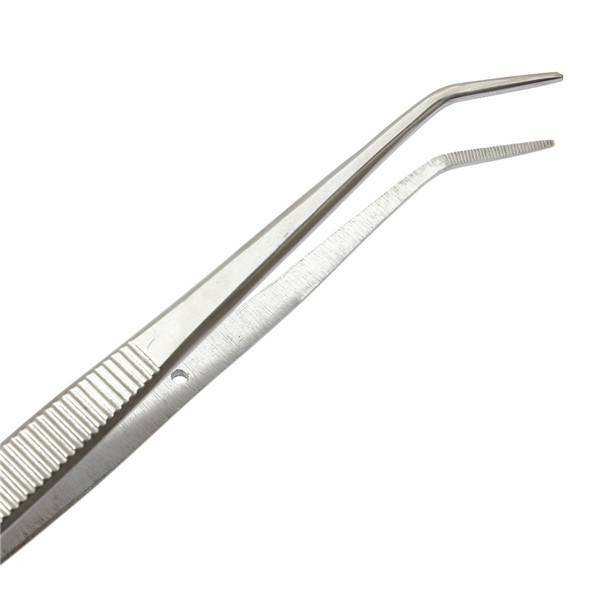 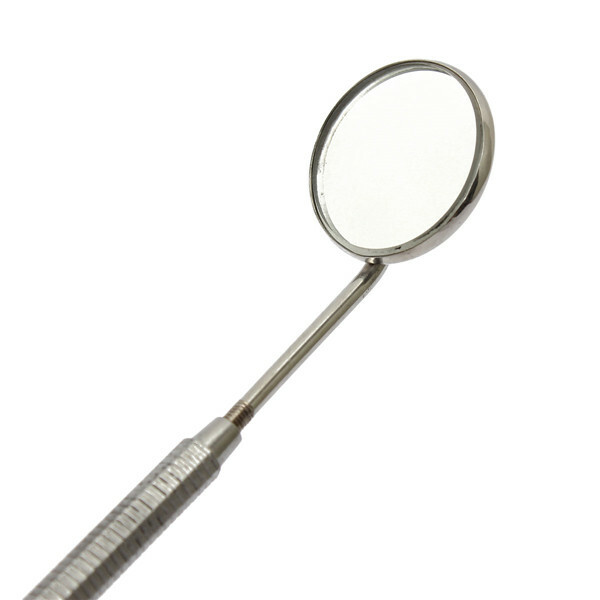 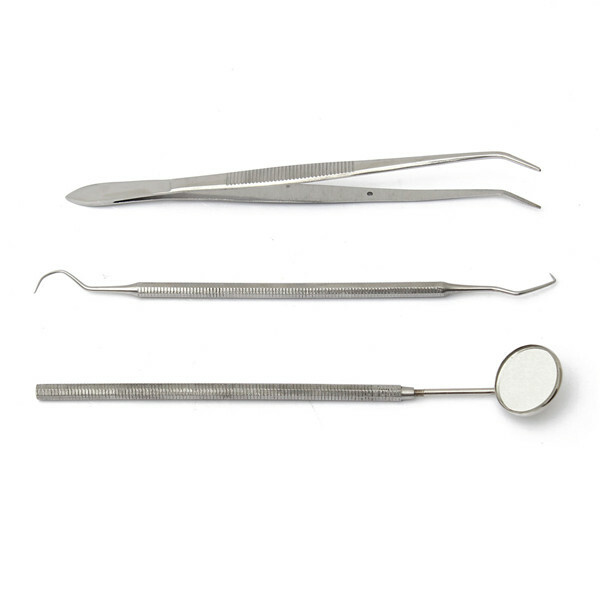 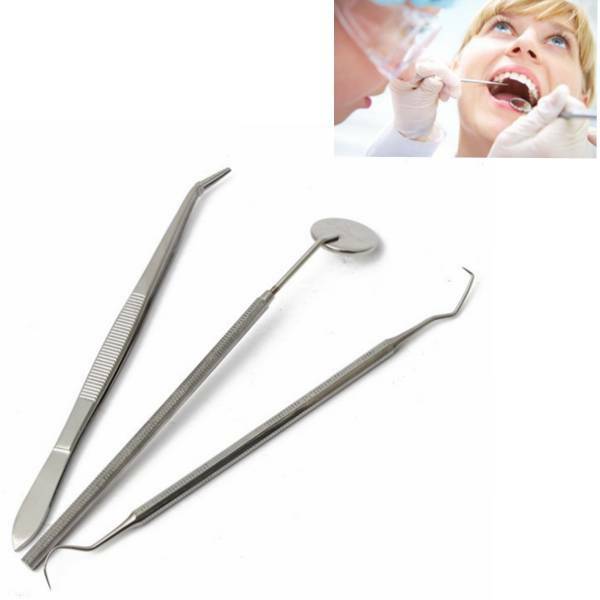 This dentist tool set consists of three different dental tools: a probe, a mirror and tweezers. 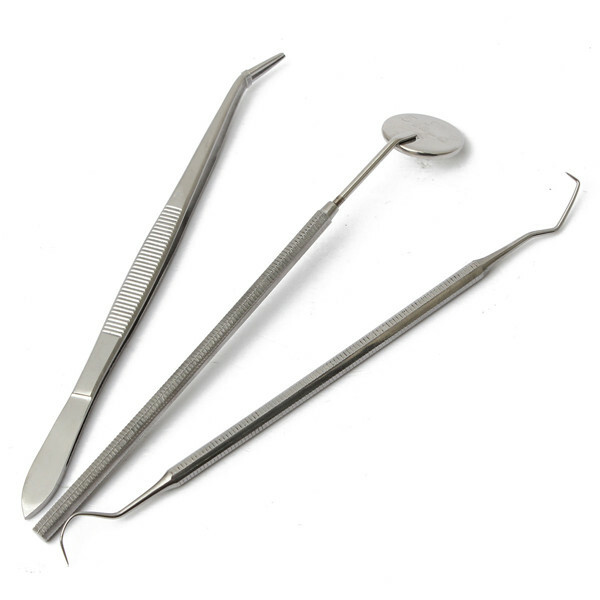 The instruments are made of costly stainless steel case, and can well withstand high temperatures. 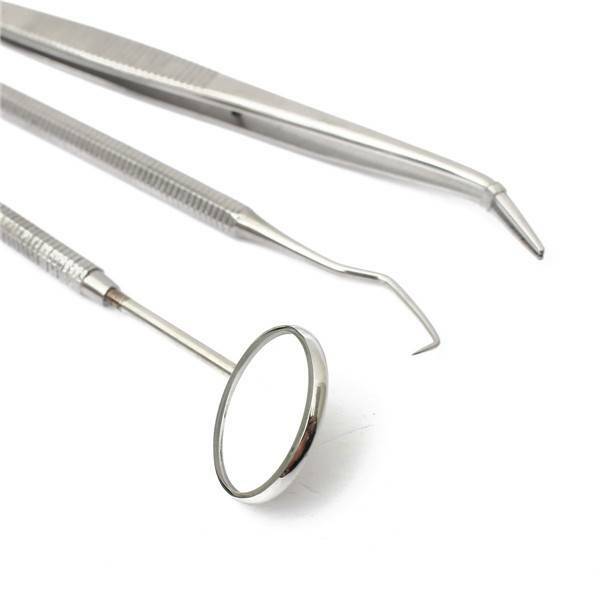 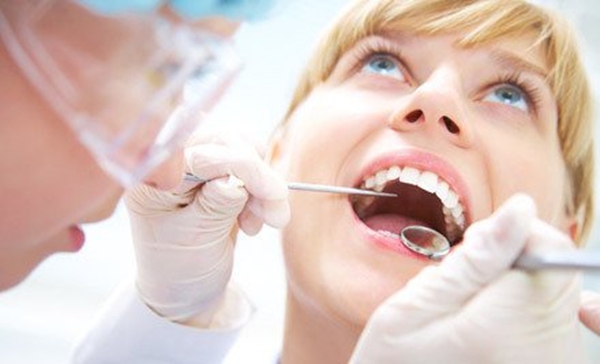 It is important to properly disinfect the instruments, to keep clean and healthy. 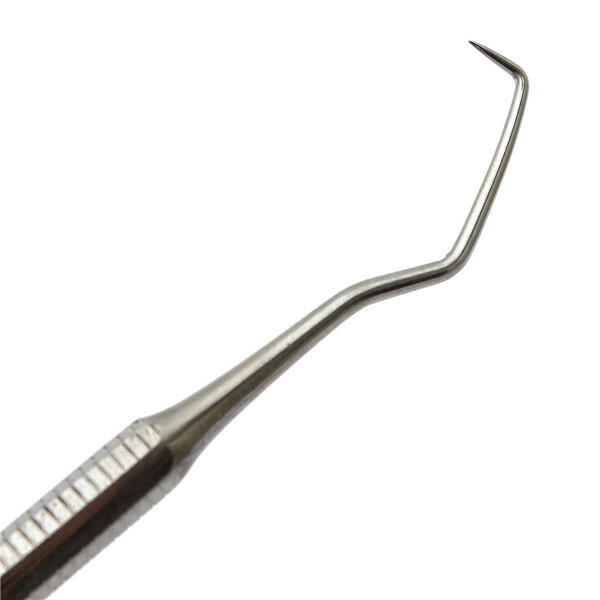 These instruments do not damage the gums and are especially suitable for people with a large interdental space.